The store, Pottery Barn, is selling what could be described as micro miniatures. Made of brass with and antiqued silver finish, they are small with the tallest about 2.25 inches. 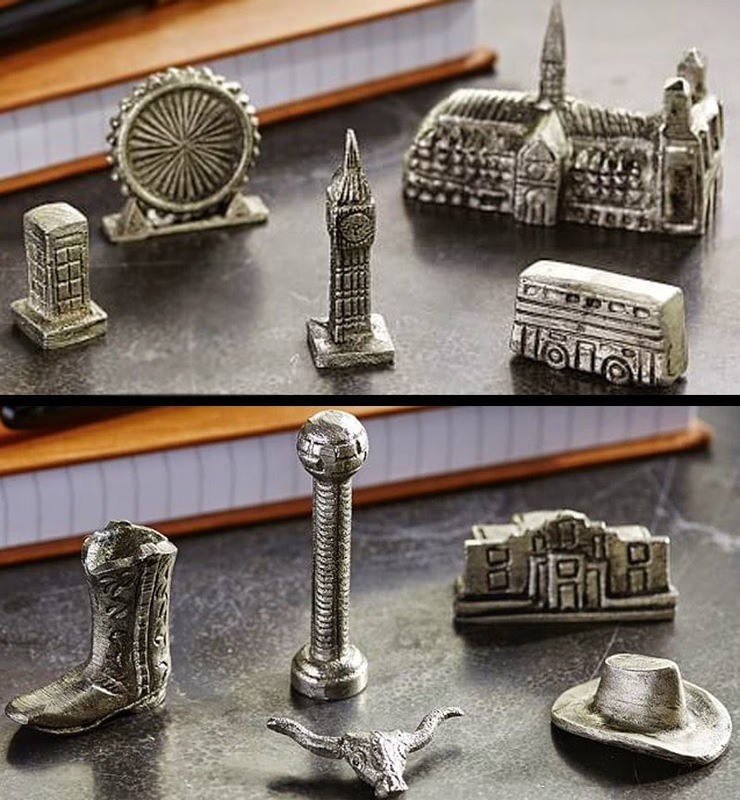 The sets of cities include London, Paris, San Francisco, New York City, and replicas from around Texas. Thanks to Mark F. for the tip about these new replicas.